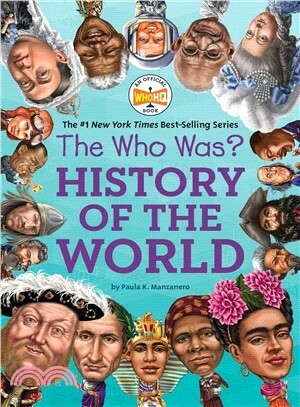 Based on The New York Times Best-Selling series, this timeline of world history gives a fresh take on global events, from King Tut to Malala Yousafzai. For the first time ever, the Who Was? subjects are gathered into a single title! The Who Was? History of the World is a journey along the timeline of history, noting the birthdays of 150 people in the series and what was happening in the world at that moment in time. Follow the timeline to learn who was doing what when, from the days of ancient Egypt, all the way up to the present.